$200 deposit required to hold your spot. Work trade available by application. Permaculture offers us skills, tools, solutions and strategies for healing social and ecological systems. It is a vision, design system, and global movement that draws on patterns and principles found in nature to meet human needs, while regenerating the natural world. 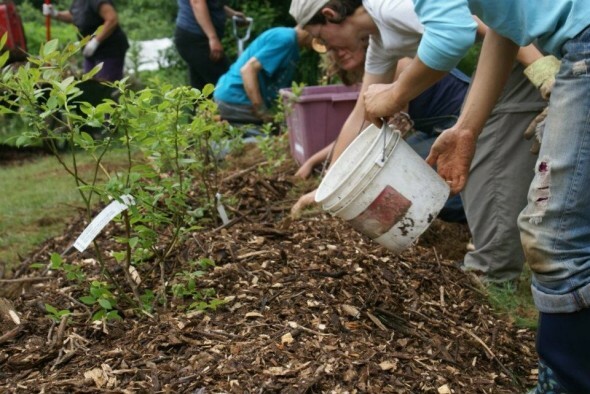 This 88-hour permaculture design certificate course goes beyond the standard 72- hour course to give participants a comprehensive understanding of permaculture principles & ethics; design processes, methodologies & tools; and how they can be applied to create regenerative human systems including food, housing, energy, communities, and economies. to create a design for a half acre urban homestead. This course is structured in twelve weekend day sessions with some evening sessions, allowing full-time workers, students and people with families more flexibility to participate. Successful completion of this course will earn participants an internationally recognized Permaculture Design Certificate.